Peter Middleton and James Spinney began with a relatively modest, if challenging, objective: to render cinematic the blind experience of snowfall. Years later, the result is their remarkable film Notes on Blindness, which premiered at Sundance and screened at festivals across the country (including SFIFF, where I was fortunate enough to catch it), picking up awards and accolades along the way. It now opens in locations across the U.S. In its aesthetic, innovations, and ambition, Notes on Blindness is something much more profound and far-reaching than that original logline might imply. Told through the overlaid audio diary of the partially-sighted and eventually blind theologian John Hull, Notes on Blindness recreates the scenarios described, deploying accomplished lip-syncing actors and a wealth of expressionism. The film presents a “cinema of blindness”; it deconstructs notions of seeing, so key to the very idea of film, while skillfully posing questions about how we encounter and represent our worlds. 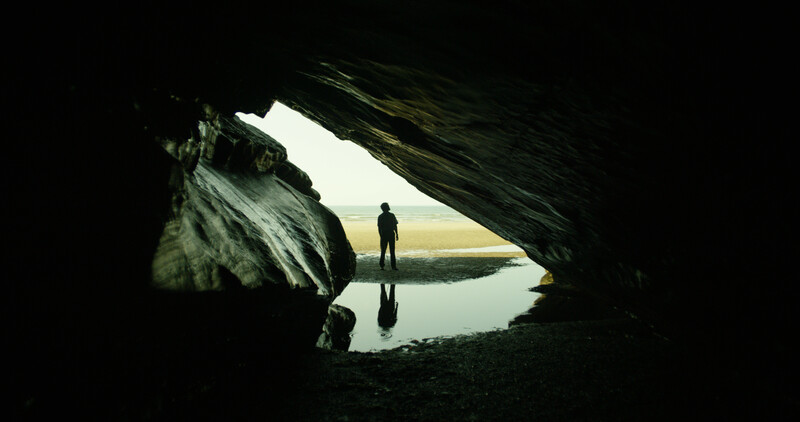 At the same time, Notes on Blindness is the deeply personal tale of one articulate man’s journey — not from light to darkness, but from one mode of being to another, with all the pain and grace that entails. And like all stories of discovery and rebirth, it is, at its heart, also a love story. Middleton and Spinney took some time out from a busy schedule to discuss the development of Notes on Blindness, the challenges (some self-imposed) they faced doing justice to Hull’s insights and legacy, and the exciting ongoing efforts to promote inclusivity in the cinema for blind and partially-sighted audiences. Rick Kelley: In a New York Times piece, you note that you met John and Marilyn while filming a short doc on the blind experience of snowfall, implying the issues Notes on Blindness explores have captivated you for some time. What was your entry point into all of this? Pete Middleton and James Spinney: That’s right. Around six years ago now, we began reading first-person accounts of blindness to inform a short film about experiences of snowfall. And we came across John’s book – Touching The Rock: An Experience of Blindness. The book contains a chapter concerning snow, in which John describes how snow blurs the contours by which you might navigate with your cane, as well as dampening the acoustics of environments. For this reason, snow is sometimes called ‘the blind man’s fog’. After collaborating with John on this project, we asked him about the audio recordings upon which his book was based. John had recorded an audio diary in the early 1980s, a three year project, documenting experiences of sight loss. He was generous enough to share these recordings with us – a dusty box of C-90 cassettes containing sixteen hours of audio recordings. These tapes became the starting point for Notes on Blindness. RK: And the feature emerged from a series of shorter pieces? PM and JS: Absolutely. Listening to John’s audio diaries for the first time, we knew that such a profound journey, from grief and loss to rebirth and renewal, demanded a long-form treatment. But it presented huge challenges in terms of structure and style, which were both exciting and daunting. It was also a difficult project to pitch. So we began making a series of short films, partly as a way of experimenting with the material, partly as an attempt to give a sense of what the feature might become. We were confident that anyone who heard John’s diaries would get a sense of the power of his account – and the depth and poetry of his enquiry. 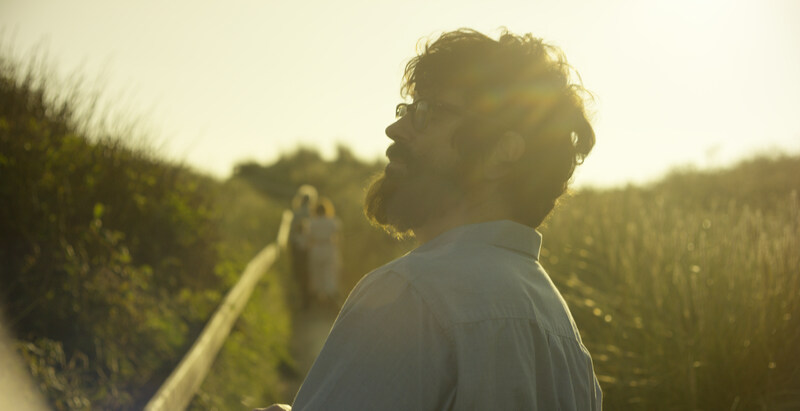 RK: Notes on Blindness relies on that pre-recorded audio and also lip-syncing from the actors, a technique shared with Clio Barnard’s film The Arbor, about Andrea Dunbar. I thought it works tremendously well in your film, and adds a kind of haunting quality to the aesthetic, but also imagine it must’ve required extensive preparation. How did you settle on this technique, and how did the cast and crew respond to its demands? PM and JS: Well, from the beginning it was clear that John’s original audio recordings had to be front and centre – that the film had to be told in John’s own words. But the account is a very internal journey, exploring his dreams, his fading visual memories, his imaginative world, as well as new sensory awakenings. Of course, these are difficult areas to access through a conventional documentary approach, especially when the diaries were kept thirty years ago. So we began thinking about creative ways to follow John on this very internal journey, whilst preserving the authenticity of the voices. The Arbor was an important reference in developing this approach, which led to an approach in which actors Dan Skinner and Simone Kirby play John and Marilyn on-screen, lip-syncing to the original recordings. And the soundtrack is built not only from John’s diaries and the interviews we did with them, but also tens of hours of home audio recordings, which captured Christmases, birthdays, bedtime stories, which contain the voices of the entire family. Dan and Simone spent the weeks running up to the shoot familiarising themselves with the audio, working with mp3s of each line of dialogue. Each line was preceded by a series of beeps to help cue them in. Working like this meant that we didn’t record any sound on set; instead we had someone who triggered the audio clips, responding to Dan and Simone’s performance. And at times we had to recut dialogues on set if the rhythms felt wrong and there was need for additional pauses. Funnily enough, after a couple of weeks it became strangely normalised. I suppose there are plenty of processes in filmmaking that are equally bizarre. Ultimately, we were amazed, from the first audition to the final day of shooting, at Dan and Simone’s ability to naturalise such a precise technique, and to subsume it into a much greater and more subtle performance. RK: I hadn’t initially appreciated that Joakim Sundström, who also worked on the very excellent Berberian Sound Studio, was the supervising sound editor on the Notes on Blindness. Given the centrality of sound design here, can you talk a bit about the process and about that collaboration? Did you have a very strong sense going into the project of how this should function, or did things develop as you went along? PM and JS: We worked with Joakim on the short film in 2013, so we’d been talking about the project for a number of years. During that time we were sending audio edits for the feature back and forth, culminating in a 90-minute sound cut which would provide the structure for filming of the visuals. Many scenes were constructed with sound as the starting point. We spent a lot of time in early discussions with Joakim talking about how to embed the documentary audio. The original tapes are pretty raw, so our re-recording mixer Per Boström spent a great deal of time de-noising the diary recordings to make them easier to understand, whilst at the same time trying to preserve the distinctively analogue quality of the tapes. 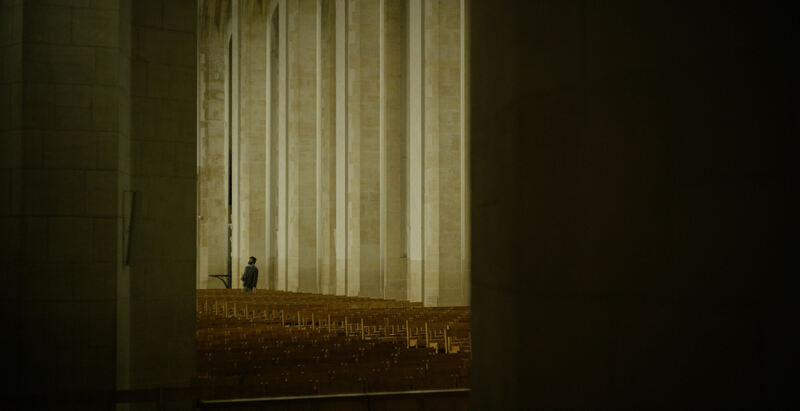 Wherever possible we layered in material from John’s archive in more subliminal ways, such as the baptism scene early in the film, or the voices of the students in the scenes of John at work in the University of Birmingham, which are all from his tapes. Aside from these recordings, all of the sound was built in post production, so Joakim and his team embedded John’s original recordings within textured sound environments, emulating the necessary ambience and presence of the locations into which they had been re-staged. Much of the textural detail is constructed from foley work, recorded to match the movements of the actors, who in turn had matched their movement to the documentary audio. It was an experimental process. Though we felt confident in the approach, there were no guarantees that it was going to come off! RK: It does! I’m interested in this whole notion of a cinema of blindness. There’s a lovely quote in your piece: “One of the great tensions of the work is that it is constantly working at the limits of expression, straining language dominated by visual referents and imagery. Yet it is at these moments that the account is at its most poetic.” Could you elaborate on this a bit? And how does it relate to Hull’s sense that “blindness is the easiest disability to simulate by closing your eyes but it’s the hardest to empathize with. Behind those closed eyelids you have a sighted person’s brain”? PM and JS: Yes, those two ideas feel very closely related. John said that for several years he didn’t feel he was a blind person, he was a sighted person who couldn’t see. In other words, his mind expected and longed to see, he felt an absence of vision. But as the diary develops, John begins to register a change. Partly through a conscious attempt to no longer live in ‘the nostalgia of the visual world’, partly through an unconscious neurological rewiring, he says that increasingly ‘the things which once one took for granted, then mourned the loss of, then tried so desperately to compensate for, in the end cease to matter. One begins to live by other interests, other values, one begins to take up residence in another world’. At this point John felt that he was no longer a sighted person who could not see: he had become blind. John and Marilyn talk very movingly in the film about the concept of ‘different worlds of experience’, and their struggle not to lose one another on either sides of this divide. And part of John’s diary project is an attempt to reconcile these different worlds, to find a bridge through communication. In some ways, our everyday language assumes common experience. And in John’s writing he powerfully finds a way to deconstruct both the sighted experience he is leaving behind and the blind identity he comes to discover, analysing how the senses play into our sense of identity, our relationships, in such a way that recognises and values what is individual to how we each perceive the world, but always as an attempt to, in his words ‘bridge the abyss’ that separates different worlds of experience’ and find ‘a common humanity’. RK: You’ve spoken about specific, self-imposed restrictions you deployed – for instance, making faces elusive in the frame, shooting on longer lenses, avoiding wide establishing shots, refusing to shoot the reverse of supporting characters in Notes on Blindness. To me, this almost brings to mind Lars von Trier’s The Five Obstructions (on which Joakim Sundström worked too, as it turns out). What were the motivations and advantages of such an approach? What were the difficulties? PM and JS: Certain shooting conventions felt instinctively wrong when thinking about how to approach this material in a way that was empathetic to the subjectivity of John’s account. It felt wrong to shoot clean establishing wide shots when John talks about the initial shrinking of his perceptual environment. It felt wrong for the audience to clearly see the faces of John’s children when his narration describes his distress at losing precious memories of their faces. This is something we developed with our cinematographer Gerry Floyd whilst working on the short film and in development of the feature, so from the start of the shoot we were always thinking within this mindset. 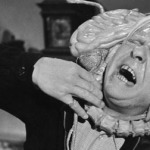 As is often the case with restrictions, the limitations came to be creatively freeing: the visual style of the film is largely a response to them. RK: Notes on Blindness has a VR companion piece, which has been exhibited at Sundance and Tribeca, will soon be more widely available, which seems tremendously exciting. How does it tie in to the film itself? PM and JS: Yes indeed, the virtual reality experience is now available for free on the Oculus store, iTunes and Google Play. Like the film, the VR is also narrated by John, from material edited from his audio diaries, but it’s an animated 360 experience led by binaural sound. And sound was very much the starting point: exploring the development of John’s awakening perception of ‘acoustic space’ – how multi-layered patterns of sound bring depth, detail and contour to an environment. Though there are two chapters that bridge both the feature and the VR, they’re very different experiences. So we’re excited about how they speak to each other, and how they can provide different entry points to John’s account of blindness. RK: There are also plans for different types of exhibition formats that will emphasize accessibility for blind and partially sighted audiences. This sounds pretty unlike anything else I know about going on right now. PM and JS: Well, cinema can often be quite an unrewarding experience for blind and partially sighted audiences. Often the process of making films accessible is an afterthought in the creative process – and undervalued by distributors and exhibitors. 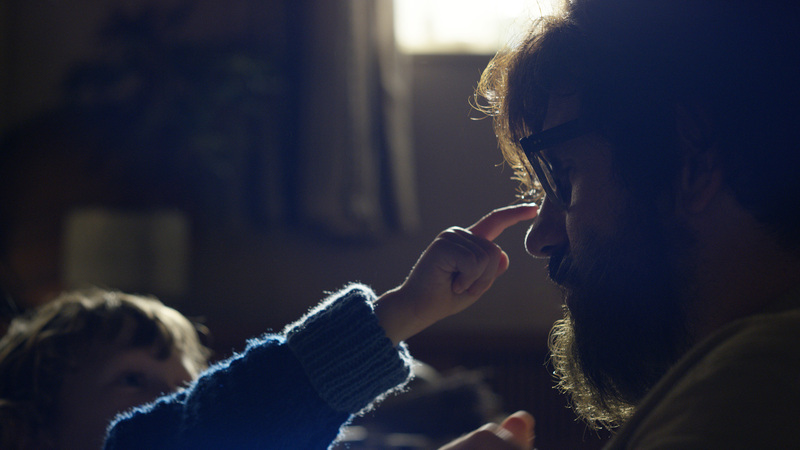 We’ve been working closely with the UK’s leading blindness charity, the RNIB, to make Notes on Blindness part of a conversation about how film is experienced by blind and partially sighted audience. The result is that audiences can choose from four soundtrack options. As well as the standard version of the film’s soundtrack, you can choose an audio description track by Louise Fryer, a leading audio-describer, or by the actor Stephen Mangan. The two versions are very different in their tone and dramatic character. We’ve also worked on an ‘enhanced soundtrack’, which works as an audio piece. Instead of relying on the voice of an external narrator, we’ve edited in about five more minutes of narration from John and Marilyn, as well as additional sound design and music cues so that it works entirely without picture. This version has been mixed in Dolby 5.1 so it can be a cinematic experience. In the UK release we’ve been working with our distributor Curzon Artificial Eye to put on screenings of the audio-described and enhanced soundtrack versions. All three versions are also available via an app called ‘MovieReading’, which means they can be accessed even at cinemas that don’t have AD headsets, as well as at home. And the different versions of the soundtrack are also available on the DVD and via on-demand services. It’s been a fascinating process, and we hope one that other filmmakers and distributors can build upon in thinking about how cinema can be made more inclusive. RK: Over the course of your work, from the earlier pieces through Notes on Blindness, you came to know John Hull quite well. In closing, I’d like to ask what you personally came to value most about your interactions, and also what you think he’d want emphasized, if anything, as his legacy? PM and JS: One thing that we’re conscious the feature film doesn’t quite capture is John’s tremendous sense of humour. Which was one of the motivations for producing a companion piece called RADIO H, a ten-minute short film narrated by John’s eldest daughter Imogen, featuring the recordings that she and John kept together in her youth. This captures something more of John’s warmth, his irreverence, as well as his political activism. In terms of what John might have wanted to emphasise in with regard to the film, a few years ago we asked him to go back to certain passages from his audio diaries and respond to them now. And in particular, the diary entry from 1983, where he confronted the loss of precious visual memories of Marilyn and his children. He concluded that, on the other side of a complex process of mourning, of trying desperately to compensate for the loss of these things, in the end they cease to matter. Because ‘being human is not seeing’, he said, ‘it’s loving’.